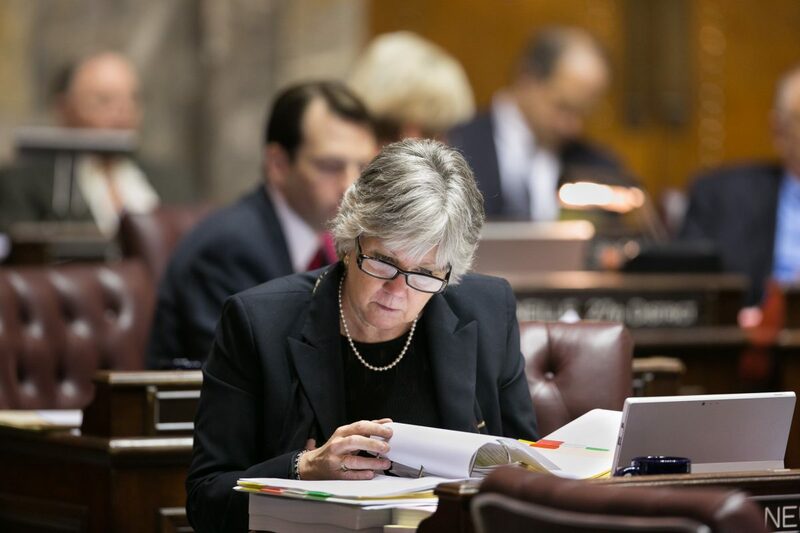 Senate Majority Leader Sharon Nelson has announced she will not run for re-election this year. In an emailed statement announcing her retirement from the legislature, Senator Nelson focused on the successes of the 2018 legislative session and the legislative goals she has met since becoming leader of the Senate Democrats. Nelson’s announcement goes on to say that a new leader will not be elected until the week of November 12th, after election results are available. Senator Nelson joins former House Minority Leader Dan Kristiansen and at least 10 other legislators that have announced their retirement this year.